Shah sought to show the Opposition leaders as ineffective in comparison to the BJP. 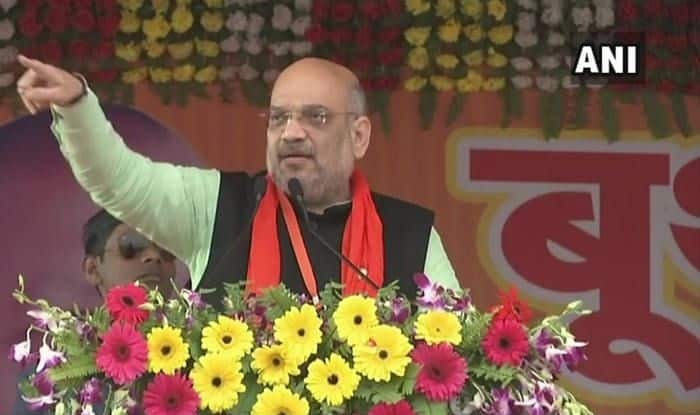 Just a couple of days ago, addressing a similar rally in Aligarh, Shah reiterated his party’s commitment towards the Ram temple and gone on to ask the Samajwadi Party, the Bahujan Samaj Party and the Congress to make their stand clear on the politically-sensitive issue. “The BJP’s stand is clear that Ram Temple will be built in that very place in Ayodhya. The SP, the BSP and the Congress should clear their agenda, whether they want the construction of Ram Mandir or not,” he said while addressing a meeting of BJP booth workers in Aligarh. The party has been quite vocal on the issue ever since the Narendra Modi government moved the Supreme Court seeking permission to return the “non-disputed” surplus land acquired around the disputed structure in Ayodhya to Ram Janmabhoomi Nyas.